Overview: The On-Q WP3411-WH is a white plastic Decorator Outlet strap with four Keystone ports, designed to be used with On-Q Keystone inserts. Keystone inserts include RJ45, Speaker terminal, Binding post, "F" connector, and multiple colors of RCA jacks. 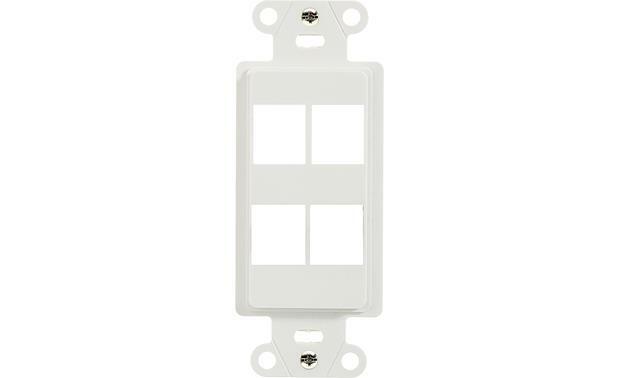 In addition to the Keystone insert, you will also need a white Decora wall plate.